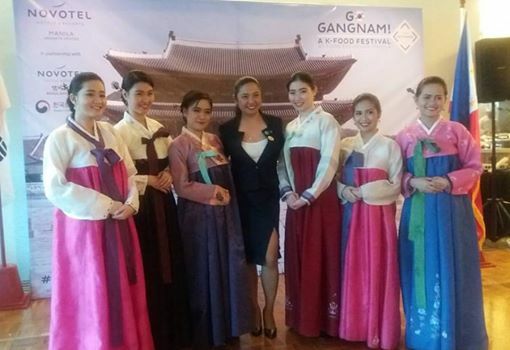 There is a growing interest in Korean food among Filipinos over the last couple of years. Its strong spicy flavors and distinct smell seemed to have taken the locals by storm, and rightfully so. Korean fare is one of the best in the world! 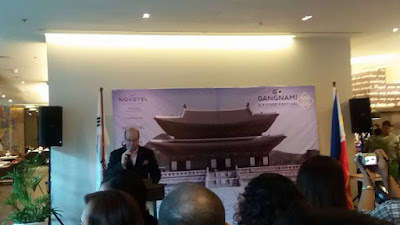 Novotel Manila Araneta Center's Food Exchange pays tribute to Korea's significant contribution to the Philippine culture with the launch of #GoGangnamAtNovotel A K-Food Festival last February 21 at Food Exchange Manila. This Korean Festival is in partnership with Novotel Ambassador Seoul Gangnam, Embassy of the Republic of Korea and the Korean Cultural Center. A Korean festival is a time of happiness, and is usually celebrated with fanfare. At Novotel, guests were greeted by hotel staff dressed in hanbok (traditional Korean clothing) and a Korean-themed ambiance The festivities opened with traditional drum plays and dancing courtesy of the Korean Cultural Center (KCC) own cultural group. Korean food is a near-perfect answer to your quest for delicious diet. 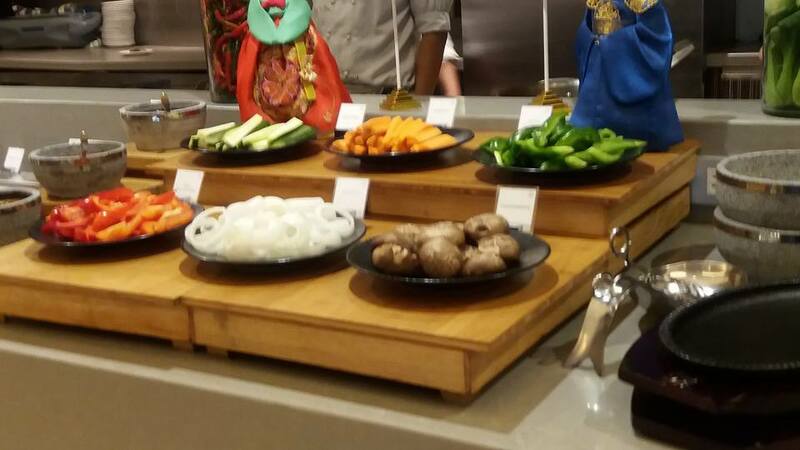 And the #GoGangnamAtNovotel Food Festival brings about the different ingredients and techniques that make Korean food special. 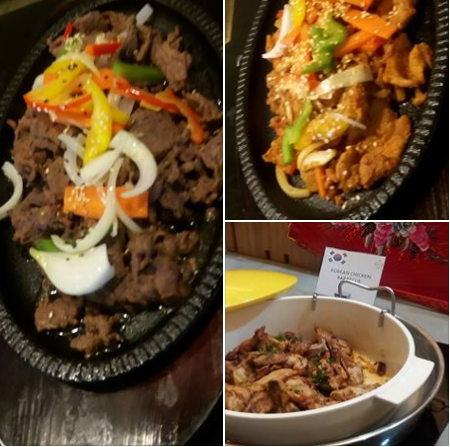 We feasted over authentic Korean dishes by Korean chef Jong-Man Kim, who flew all the way from Seoul to Manila. 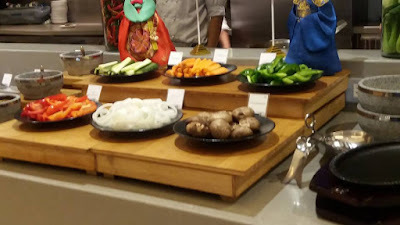 Just like any traditional Korean meal, we were served an assortment of banchan or side dishes. Korean meals are famous for its number of side dishes like kimchi. 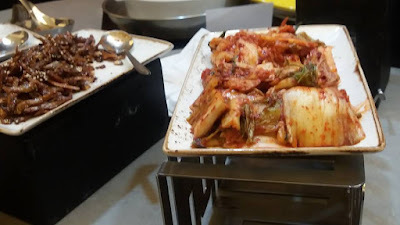 Kimchi is popular among foreigners for its unique flavor, as well as its high nutritional value. Kimchi is synonymous to Korean fare and it is served often at every meal. It completes any Korean Food Fest experience. This spicy and sour dish made up of various fermented vegetables, with cabbage as the most common ingredient. 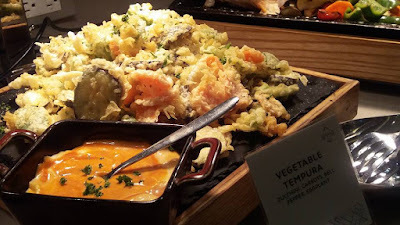 You can customize your own Korean Seafood pancake (Hameul Jeon) with fresh vegetables and an assortment of seafood (shrimp, squid and oysters). Korean vinegar and soy sauce dip gives it a little more flavor. I so love the Pork Bolgogi (sweet-spicy marinated stir-fried pork), Korean braised chicken, Grilled Pork, and the stir-fried Kimchi Rice. From February 21-27, guests can savor dishes that are distictly Korean. Feast over authentic Korean dishes by Korean chef Jong-Man Kim who flew all the way from Seoul to Manila. 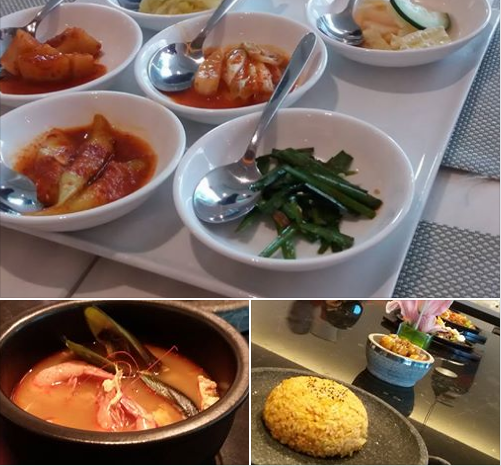 Do drop by at Novotel Manila Araneta Center’s Go Gangnam K-Food Festival this February, and be amazed with the explosion of flavors with wonderful Korean dishes. Please call (02) 990 7888 or email H709RE@accor.com for reservations. While there are a lot of Korean restaurants, this one stands out as this can give the best Korean experience. Most 5-star Hotels offers buffet for 500 to 900 per person. I can't help but notice the cost of their buffet. Perhaps, the price went up because Chef Jong-Man Kim is like the Korean version of Anthony Bourdain or Gordon Ramsay. He must be a high-profile Chef in SoKor.